This post contains affiliate links for your convenience. I’ve only included links to items that I actually use and love! 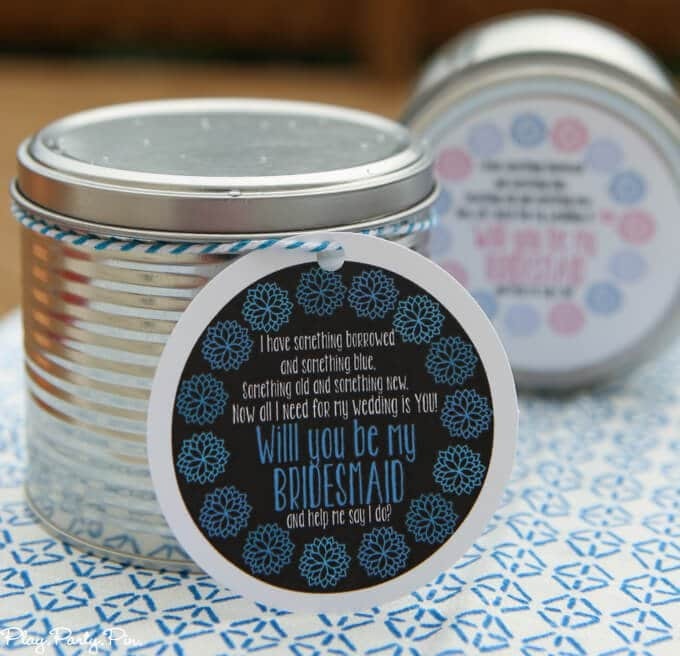 Looking for cute ways to ask someone to be a bridesmaid? Look no further. 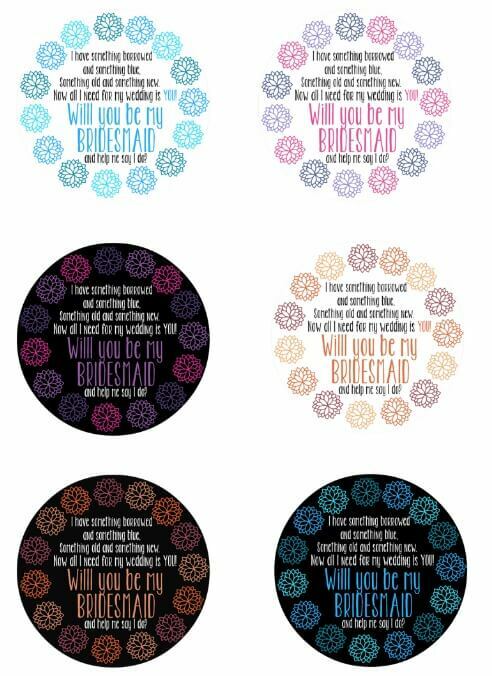 Just add these printable gift tags to your favorite “will you be my bridesmaid ideas” and ask away. I got married over eight years ago, and oh how things have changed since then. Eight years ago Pinterest didn’t exist and while our wedding reception was pretty, it was nothing like my sister’s Pinterest worthy wedding reception last summer. 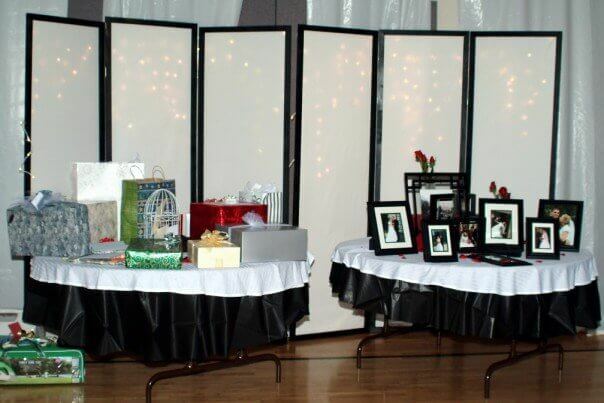 I’m kind of glad that we got married before the pressure was on to have a wedding reception that people would leave thinking, oh that was the cutest reception I’ve ever seen. 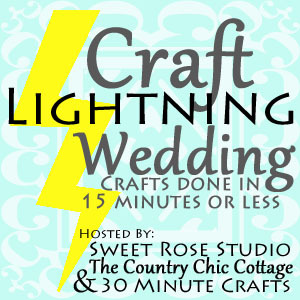 That’s why I love that this entire week a bunch of bloggers are sharing 15 minute wedding craft ideas as part of Craft Lightning Wedding edition. Fifteen minutes is doable for anyone and a great way to get an awesome wedding without spending hours painting vases or paying someone a fortune to make everything for you. 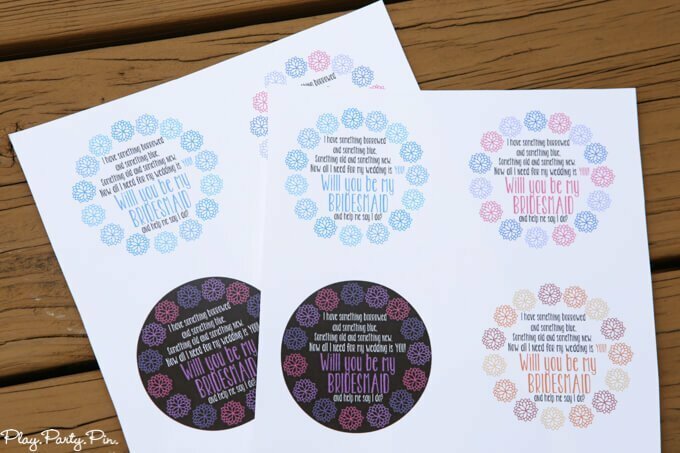 Instead of making something for the actual wedding like most people did, I went a different route and came up with a cute way for a bride to ask her friends and sisters to be bridesmaids. P.S., I didn’t know will you be my bridesmaid ideas was a thing until last summer, but apparently it is. And I kind of love it, mostly because I like coming up with cute gift ideas. 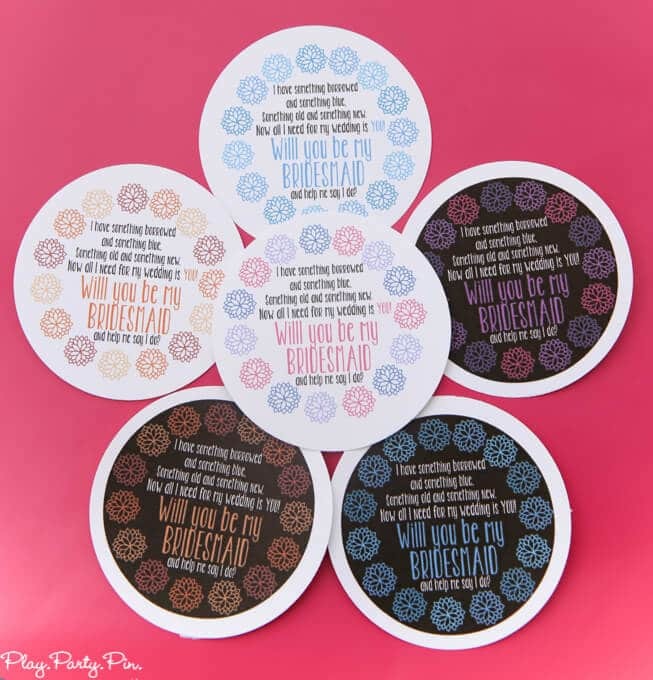 I created these printable gift tags that you can print out and just add to whatever gift you want to give the bridesmaids when you ask whether it be their favorite treat, a piece of jewelry, a movie, or just something that person loves. 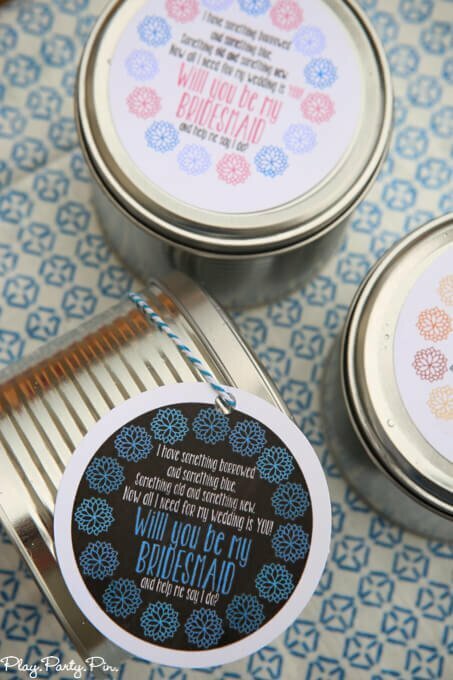 I added tags to these little tin cans that I bought at Target but you could just as easily add them to mason jars, gift bags, or even just a wrapped gift. Or forget the gift and just send them the cute tag in the mail to ask. 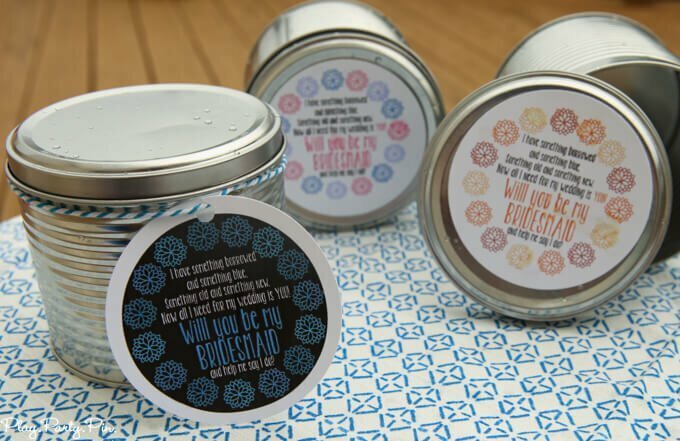 The tags all have this short little rhyme on them, playing on the traditional items a bride needs for her wedding. Now all I need for my wedding is new. Will you be my bridesmaid and help me say I do? I designed them in three different color schemes, but if you’d like a different color feel free to email me and I can make a different color for you. I recommend printing them out on white cardstock and punching them out with a 2″ circle punch. I attached mine to the jars with a little baking twine I bought at Pick Your Plum, but you can just use double-sided tape or even regular tape. Hey! do you make labels for the maid of honor also? yes, I have! Email me if you’d like them and I’ll send them to you Bekah. Would you be able to make printable tags for wedding invitations-with a monogram and a date? Would you be able to make the same blue on white tags with Maid of Honor? Thanks!